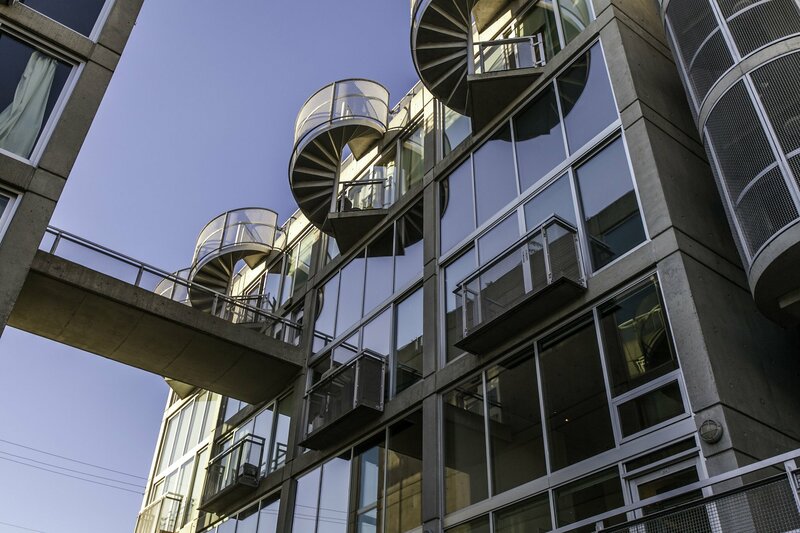 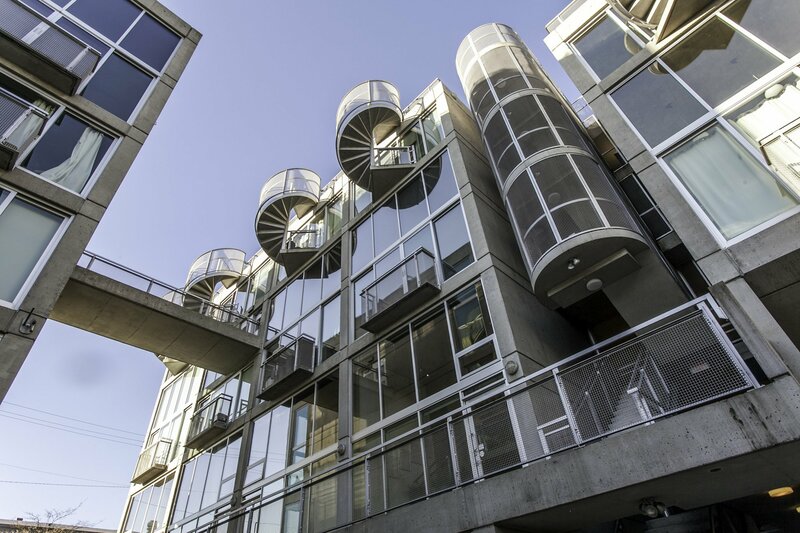 Stunning loft at Arthur Erickson designed "Waterfall Building". 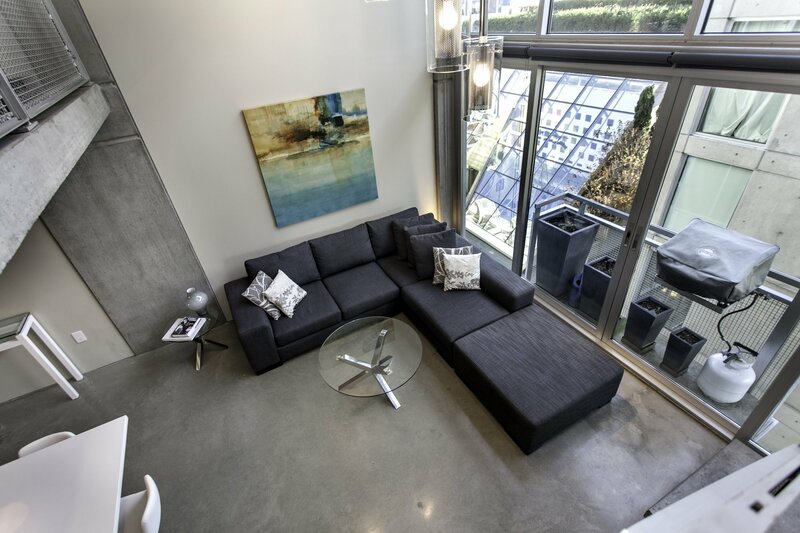 Unique suite with 821 sq.ft. 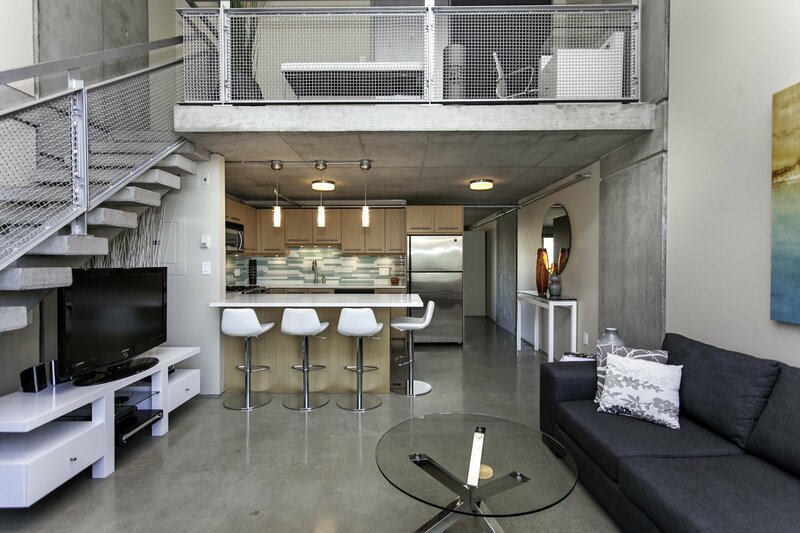 on 2 levels. 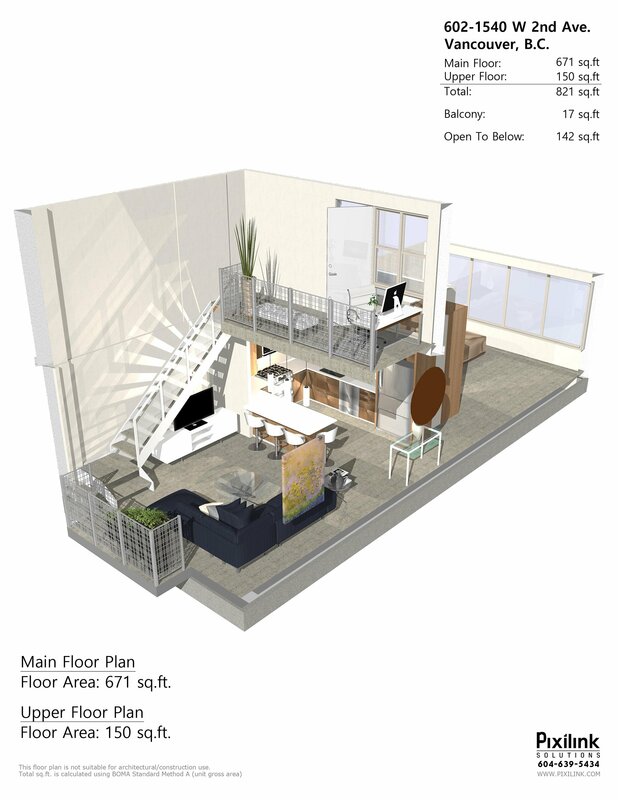 Upstairs loft/office area overlooks the double height living room which opens out to a Juliet-style balcony overseeing the famous bui lding courtyard & gallery. 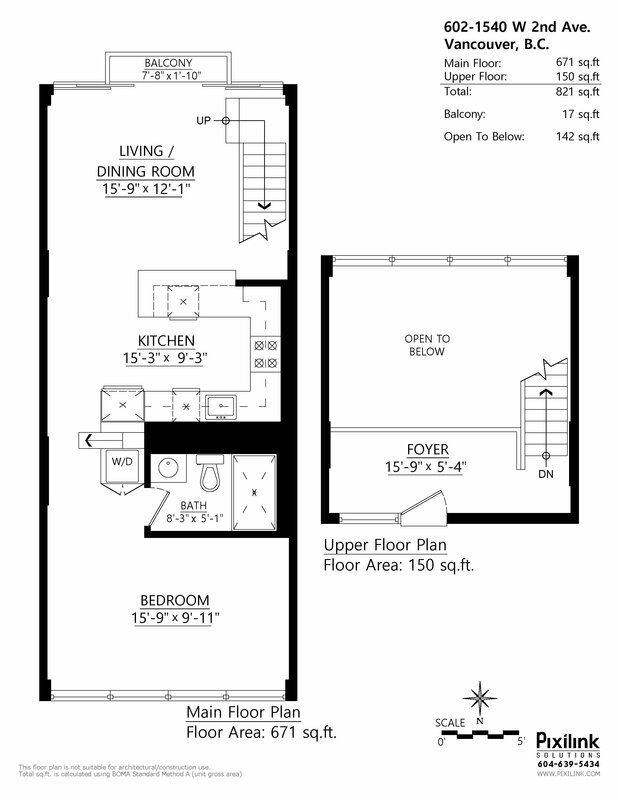 Well designed floor plan with a large kitchen/living area & separate bedroom. 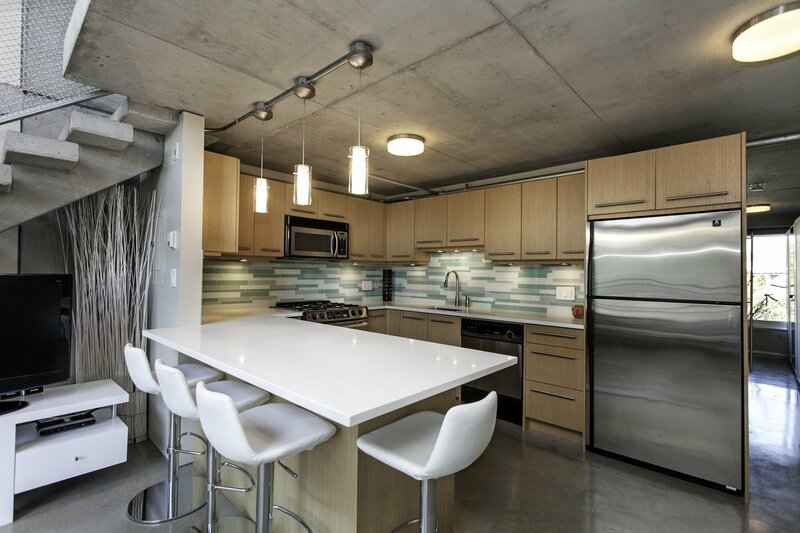 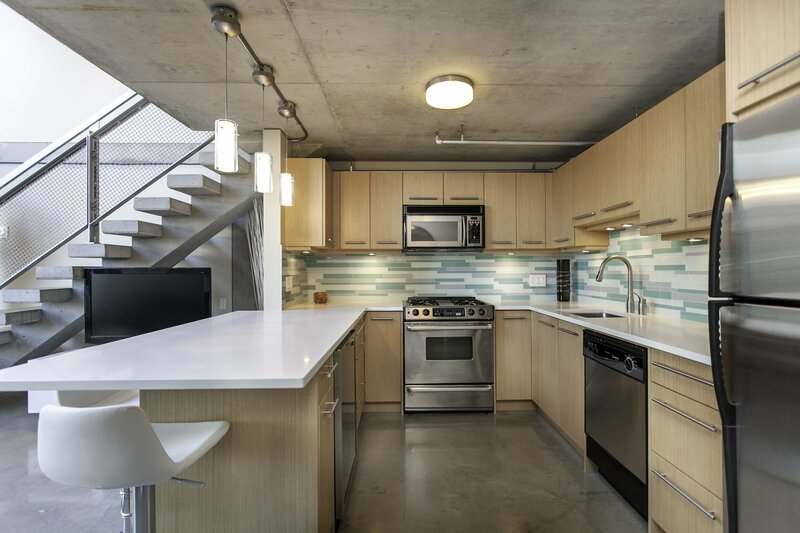 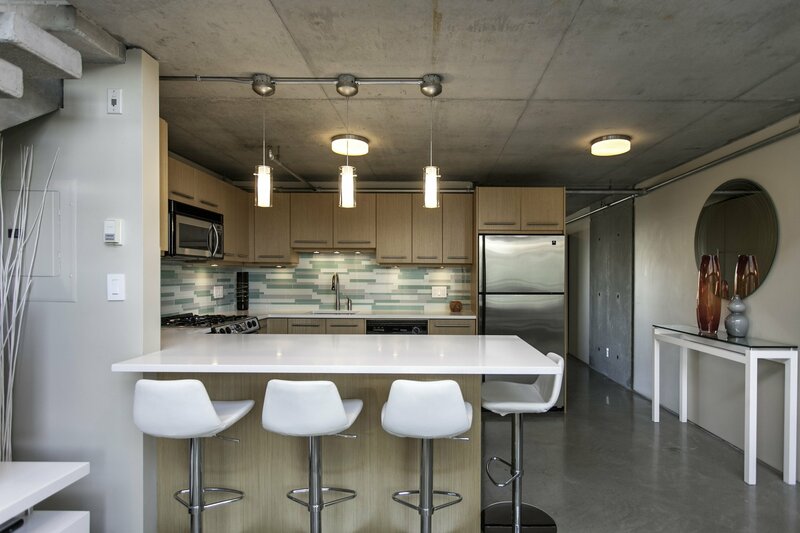 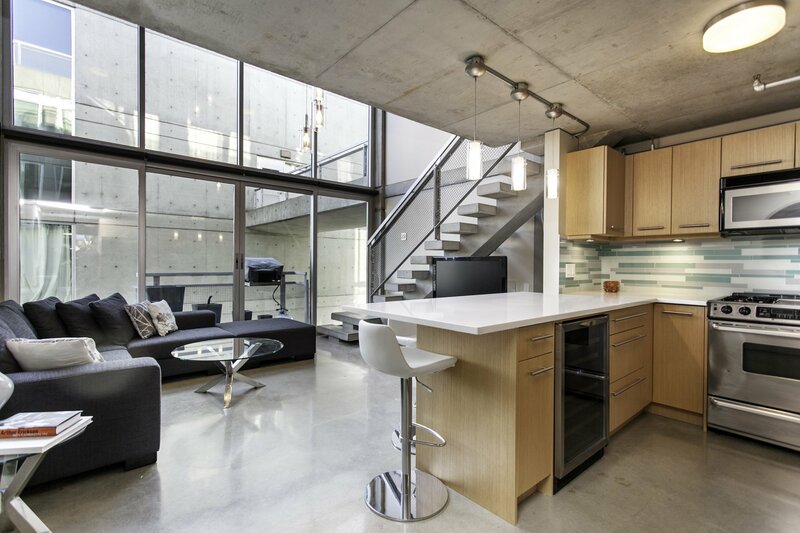 Features exposed concrete walls, custom diamond cut polished concrete floors, floating concrete staircase, updated modern sleek kitchen with stone counters, undermount sink, and stylish wood cabinetry & storage. 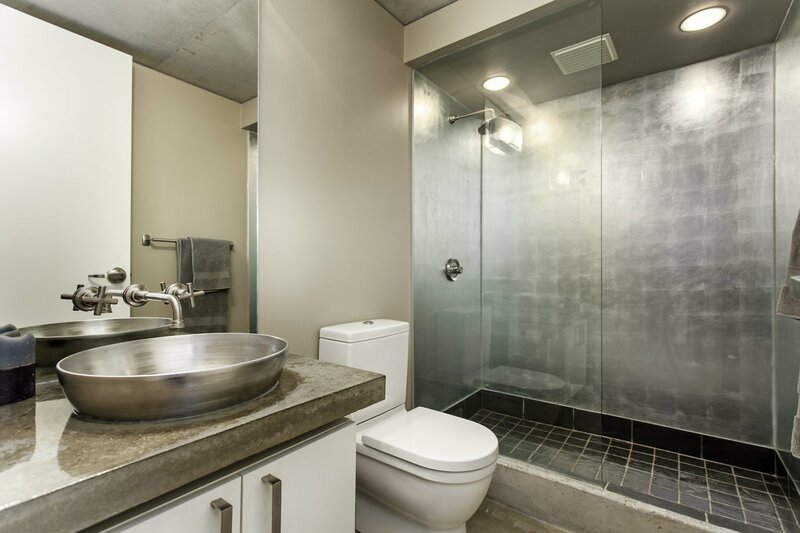 Carefully renovated w/fine finishing. 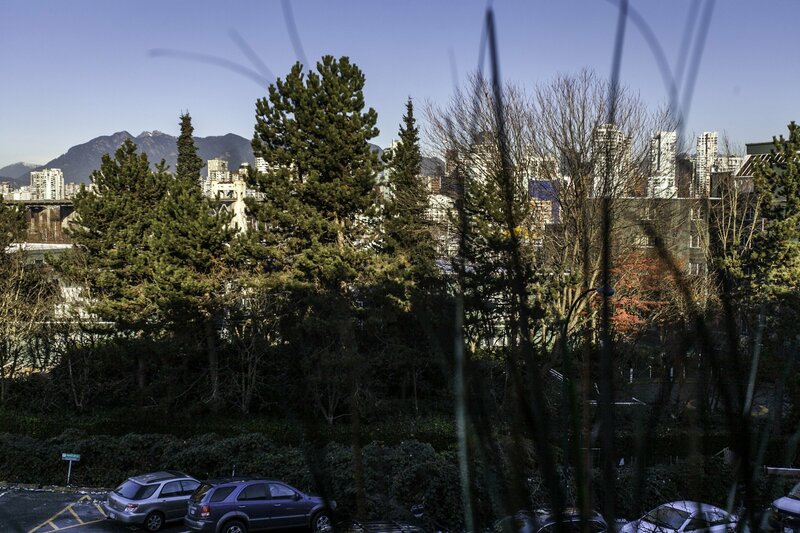 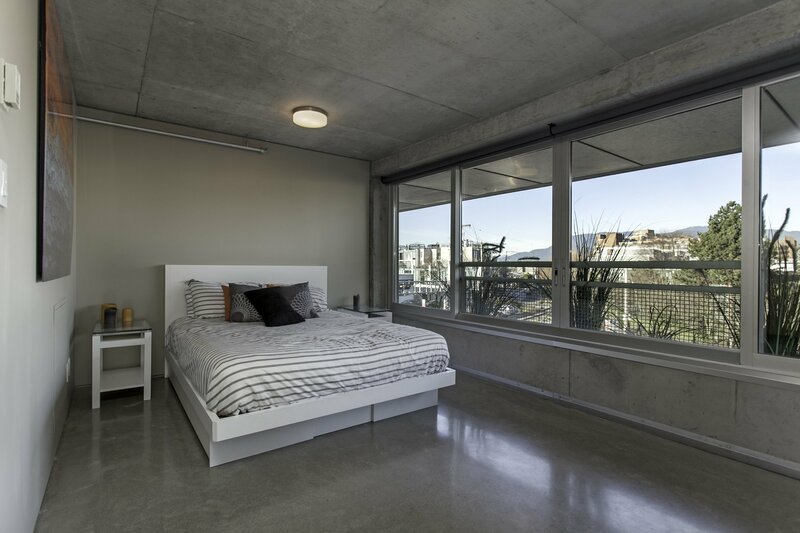 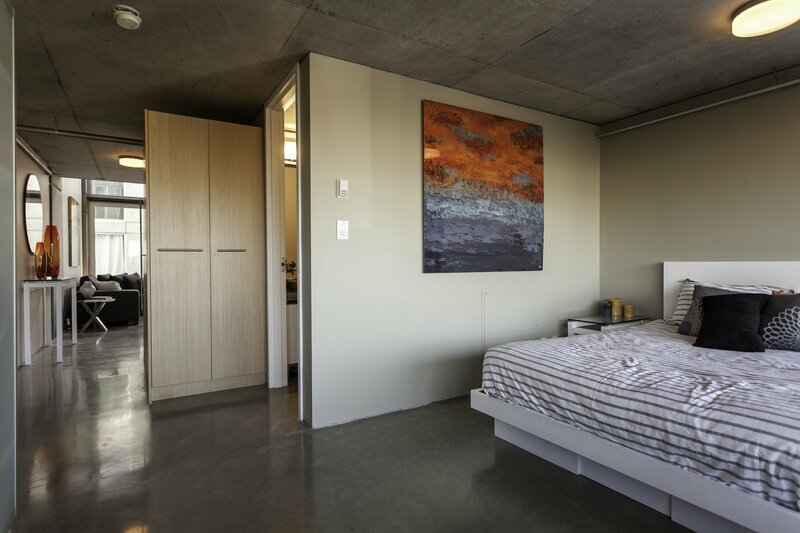 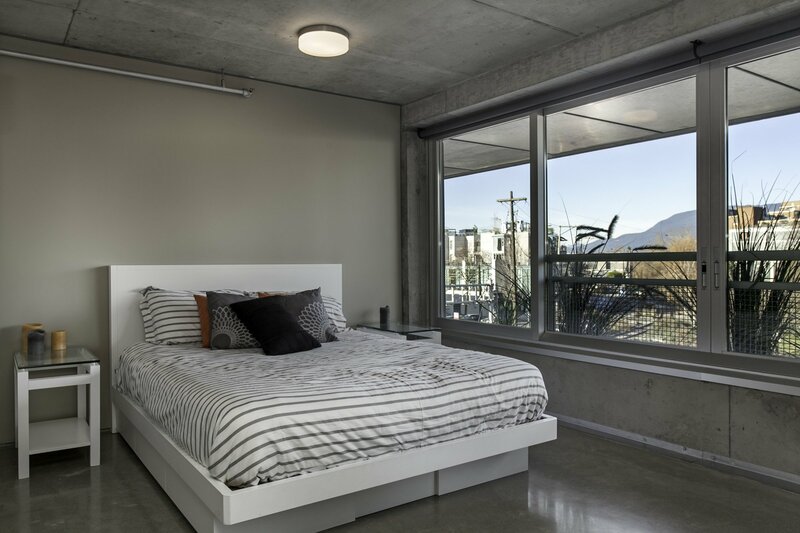 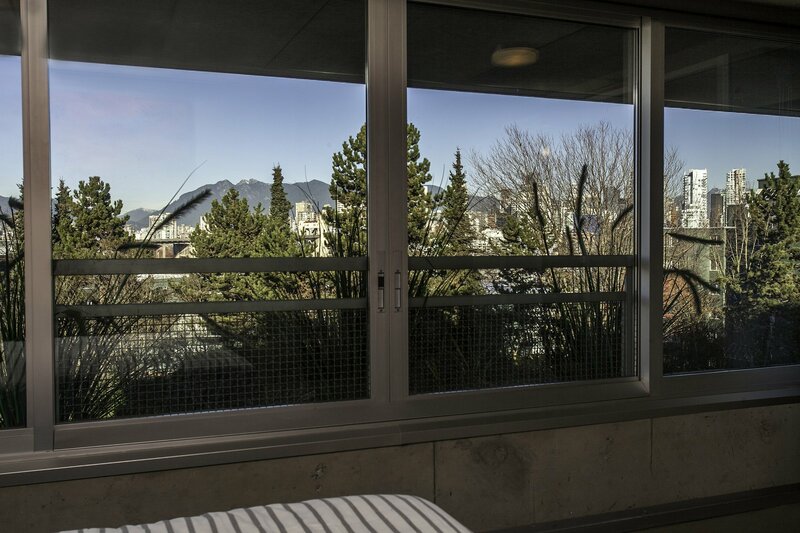 Bedroom area has northern exposure with views to the city & mountains. 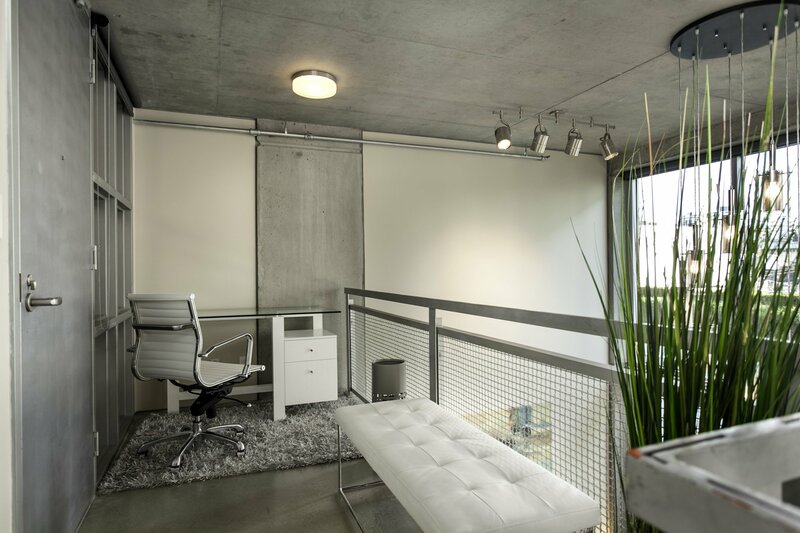 1 prkg and storage locker.